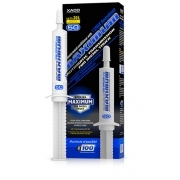 The product is applied universally for the treatment of all types of injection systems, including common-rail and unit injectors . 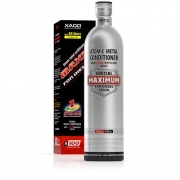 Owing to the two-component formula atomic metal conditioner Maximum Fuel Equipment for Diesel Truck provides an extra level of antiwear protection. It possesses an extended potential of worn surfaces restoration. The product forms a ceramic-metal coating with a long-term regenerative potential. 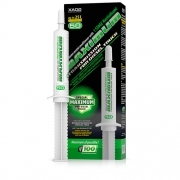 One syringe (30 ml) is enough for the treatment of a fuel equipment and injection system with the engine system capacity of 10–15 L.
Treatment pattern for a fuel equipment of an engine with the capacity of 10–15 L.
1. Introduce the contents of the syringe*into the fuel tank before fuelling. 2. Pour not less than 150 L of fuel into the fuel tank. 3. Operate the car in a regular operating mode. The temperature of the compound before the application should be not less than +25 °C. 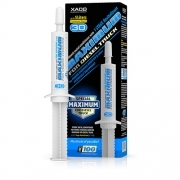 It is recommended to clean the fuel system of the engine before the treatment.